Conky-Lua next generation is a nice conky theme from the same author of Conky-Lua. This theme is available for Debian, Fedora, LinuxMint, PCLinux, openSUSE and Ubuntu. I tested this theme on Ubuntu 14.04, however the method will work on all distributions. Download the package from here. Go to the folder where you’ve downloaded the theme and extract it. 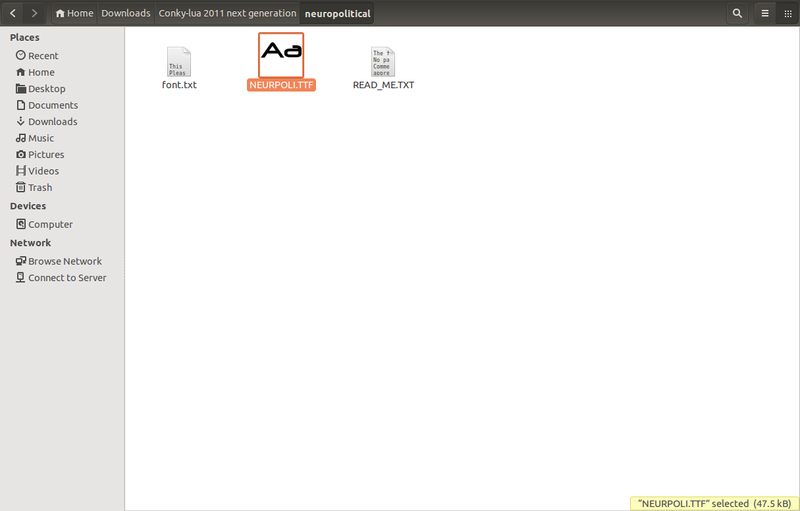 After extracting it, all files will be extracted in a folder named Conky-lua 2011 next generation. Go to this folder, you will find a zip file called neuropolitical.zip. Extract it, and install the font. To install a font, just open it in Font viewer or simply double click the font file, and click the Install button on the right corner. That’s it. 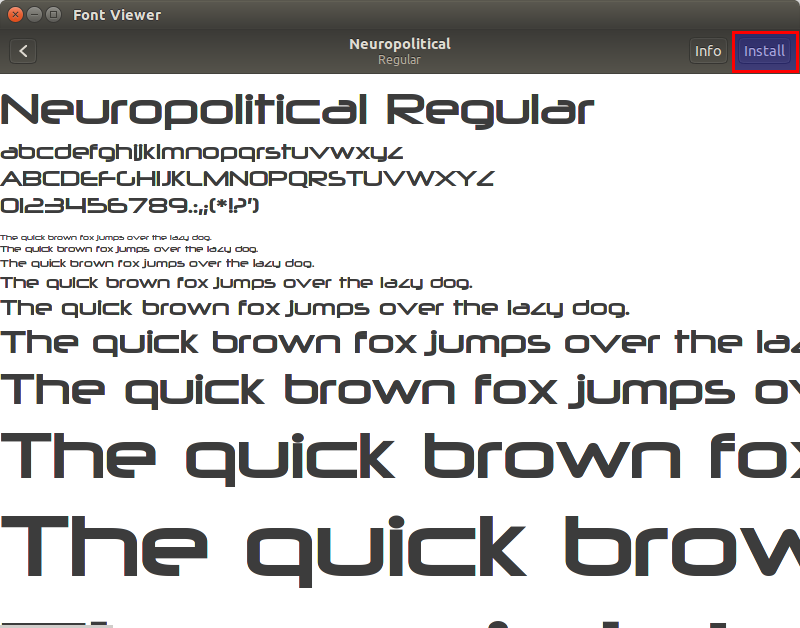 Now neuropolitical font will be installed on your system. That’s all. 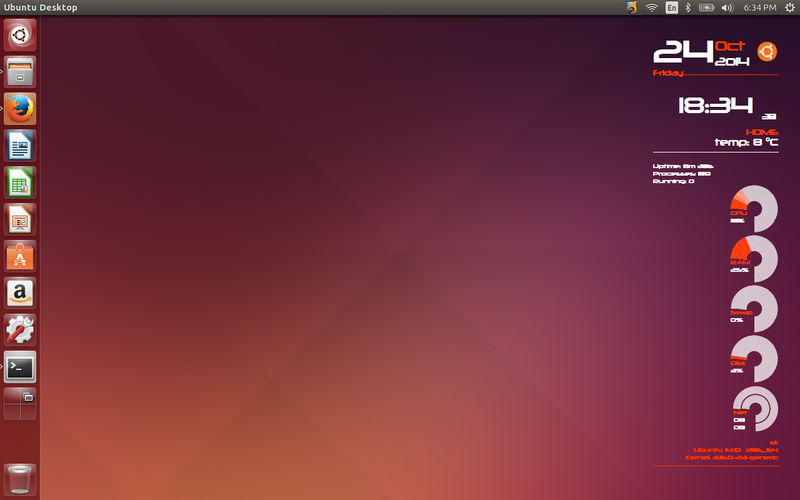 The following screenshot shows how my Ubuntu 14.04 desktop looked after installing Next Generation conky lua theme.